Mid and East Antrim Borough Council says it is doing all it can to re-open Blackhead path. The project is among major capital works budgeted for in council’s annual rates, which have just been struck. “Significant issues have been identified regarding the path, which was already in a state of disrepair largely due to a lack of maintenance work over a prolonged period of time. The local authority has been working with geologists and the Health and Safety Executive to monitor subsidence and start repairs. 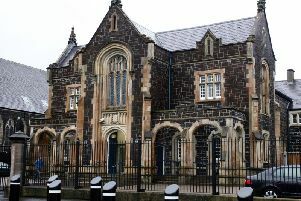 The walkway connecting Whitehead and Islandmagee has been plagued with issues since the early 1990s and was closed on and off by the former Carrickfergus Borough Council. Council previously stated timescales were dependent on weather conditions, but it hopes work will get underway in the New Year. It’s estimated the repairs may cost in the region of £2 million. Thousands of people have supported an online petition calling for the path’s re-opening.